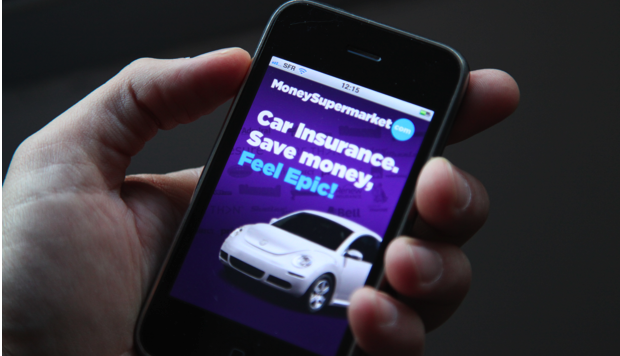 UK Based price comparison site MoneySupermarket.com has become the first company to launch a car insurance comparison app for use on the iPhone. This gives users access to car insurance quotes provided by 100s of car insurance companies in a matter of moments upon merely taking a photograph of a car registration plate. The company has worked with mobile experts Mobile Interactive Group (MIG) to produce the product which is expected to revolutionise the car buying experience with car insurance prices becoming an increasingly important factor to consider when purchasing a new vehicle. This has been corroborated by the AA who reported that the average motorist pays £921 per year for a policy on top of the 40% price hikes experienced over the course of 2010. You can download a free copy of the MoneySupermarket.com car insurance app from their website or on iTunes. Once you have the app on your phone, all you have to do is follow the on-screen steps and create a MoneySupermarket.com account to make retrieve future quotes quicker and easier as you won’t have to re-enter your personal details each time you compare. You will then be ready to go out and about and take photos of the registration plates of any vehicles that you might be considering purchasing. This will also save people the time and effort which is required to find competitive car insurance deals; avoiding the need to trawl through the net looking at quotes provided by various different companies. The app is easy to navigate and quotes which are displayed will have a “click to call” function located alongside them which allow customers to phone up insurers to enquire about the potential policy or arrange for payment. In addition, your progress will be saved along the journey in case you don’t have to time to complete the process or in the event of your battery failing for example. You will be able to save any quotes that you have retrieved previously to access at a later date, with the “click to call” function remaining operational. This new application fits in with MoneySupermarket.com’s objective to get more people comparing car insurance deals rather than simply accepting the first policy offer that comes their way. The company claims that the average customer stands to save £375 by purchasing car insurance through its site.